Classic cakes filled and iced with buttercream, available for same day pickup. 6" Cakes serve 4 to 6 people. 8" Cakes serve 10 to 15 people. 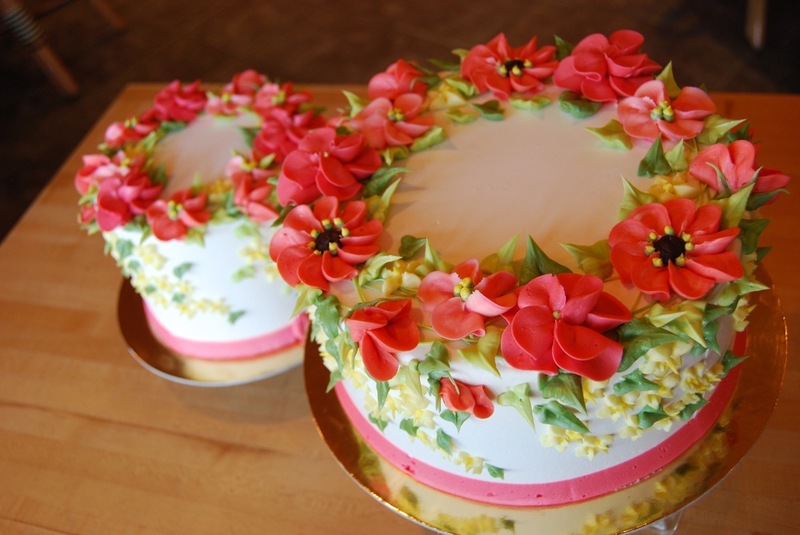 Seasonally decorated floral cakes, available for same day pickup. You pick from what's in the case. Filled with ganache, mousse, or preserves. Different selections available daily. We can custom decorate for any event or holiday. Scroll down to see a complete list of all of our cake, filling, and icing flavors. Some items have limited availability. Don't be disappointed - place your custom orders early! Click here to view our Cake gallery. A small cake with your choice of icing and decoration - perfect for 1st birthday photos and delicious as well! Three Tarts wedding cakes are traditional butter cakes so they taste fabulous - your guests will ask for seconds! Our decorators can do everything from elegant to whimsical to ensure the cake is an expression of the couple. We can accommodate most wedding budgets. Call us at (847) 446-5444 to set up an appointment for a wedding cake tasting. Click here to view our Wedding Cakes gallery. 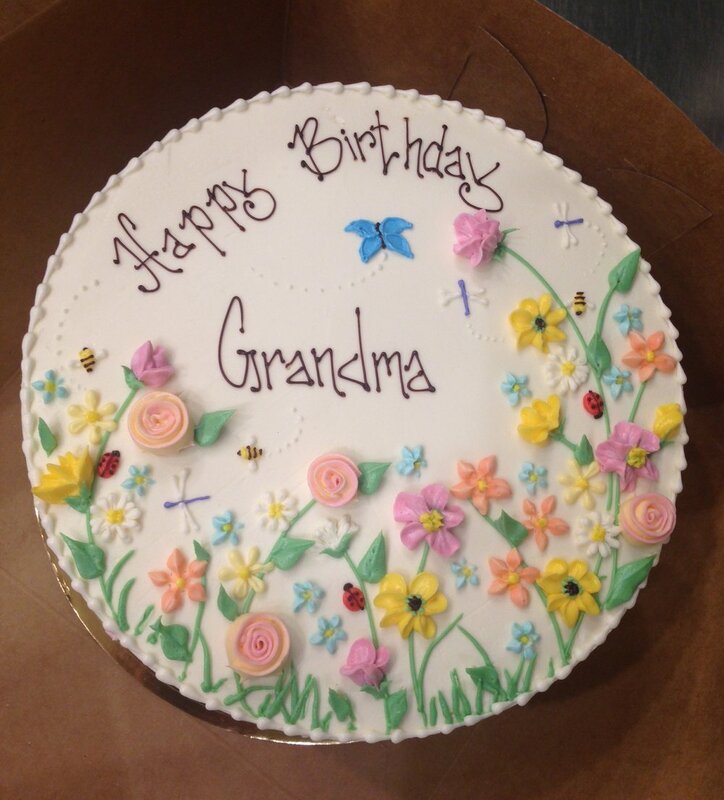 We can make cakes for gatherings large or small, come in or call for order availability and details.